Tired of frizzy, unruly hair? Frizz Endz™ Brazilian keratin treatment can transform your hair, making it frizz free, incredibly shiny and soft with results that last for up to four months! 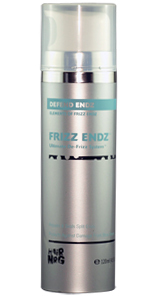 The Frizz Endz™ ultimate de frizz system™ was developed in Brazil, using the keratin protein which infuses into the hair shaft leaving the hair incredibly soft, smooth and shiny. The results of this treatment are quite simply incredible; incredible shine, smoothness and completely frizz free! Your hair will be soft, smooth and frizz free whilst retaining some body and in some cases may still have a curl movement. For in salon professional use, available in 300mL & 1L bottles. Now also available in blonde formulation! Frizz Endz Brazilian Keratin Treatment is a new product designed to dramatically reduce frizz and improve the condition of hair by fusing a keratin protein around and in the hair shaft which will strengthen, smooth and straightened hair, which will last for up to 3 – 4 months. Best of all, the Frizz Endz formula is made up of Aloe Vera and Organic Ingredients. For in-home use between salon visits. Available in both SLS Free and blonde varieties in 300mL & 1L bottles. For in-home use between salon visits. Available in 300mL & 1L bottles. 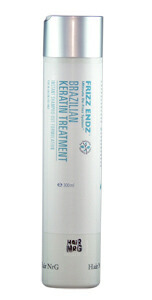 Frizz Endz conditioner provides the ultimate protection for the Frizz Endz Brazilian keratin treatment. This organic formulation is free of Sodium Laureth Sulphate and Sodium Chloride ingredients which reduce the life of Frizz Endz Brazilian Keratin treatment. 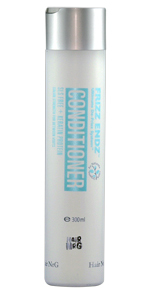 Frizz Endz conditioner contains keratin protein and aloe vera to sustain and maintain your hair. Your Frizz Endz Brazilian keratin treatment will last longer and be easier to manage whilst you continue to use this conditioner. Sodium Chloride and sulphate free! For in-home use between salon visits. Available in 100mL pump pack. Our experience as hair stylists has given us the confidence to recommend this exclusive formulation for you. We guarantee that you will be delighted with the results. 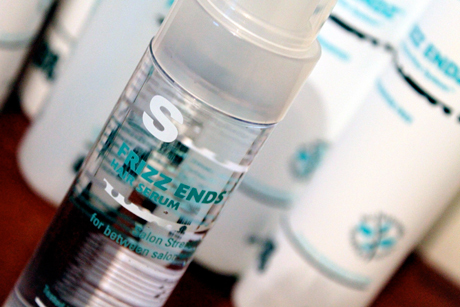 Frizz Endz Hair Serum is formulated to calm and stop your frizz, leaving your hair soft and smooth. For in-home use between salon visits. Available in 200mL pump pack. 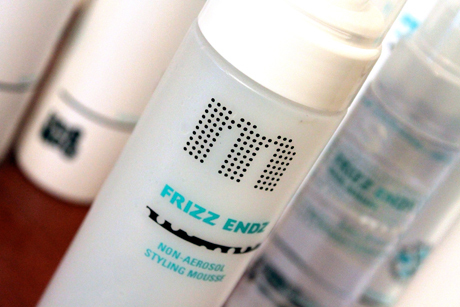 Frizz Endz Styling Mousse provides control and hold for all hair types. This no-aerosol mousse formulation protects against humidity, elemental and sun damage, allowing your hair to stay styled as you intended. Adds shine and professional holding power without sticky residue or hair stiffness. S-Plus is a supercharger for Fizz Endz keratin treatemnt. Available in 125mL bottle. S-Plus is a supercharger for Frizz Endz Brazilian keratin treatment used in conjunction with Frizz Endzô keratin treatment. S-Plus gives your clients smoother, softer and straighter results on strong, coarse, difficult hair. S-Plus is a combination of the amino acids that are the basis of for Frizz Endz keratin, so you add more of the smoothing elements and more straightening elements to the existing keratin treatment, giving you straighter, smoother and shinier hair. For coarse virgin hair, S-Plus is the answer you been looking for. No more difficult heads of keratin treatments, you can have confidence in the finished results. Soft,shiny and smoother. For in-home use between salon visits. Available in 200g tub. Frizz Endz™ masque has a high concentration of keratin protein used every 4 to 6 weeks it will extend the life of the Brazilian keratin service leaving the hair soft silky and shiny. For in-home use between salon visits. Available in 120mL bottle. Frizz Endz™ Defendz Endz is a light cream designed to protect the mid-lengths and ends of your hair it can be used in wet or dry hair we also a highly recommend Defendz Endz to be used prior to swimming in a salt water or chlorine pool or the ocean. Frizz Endz™ Tame Shampoo is a simple shampoo in formulation that straightens and reduces volume faster than any other product. 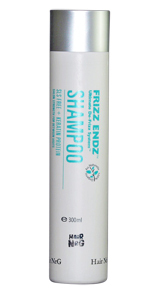 Simple and easy to use, using heat to change the natural shape of the hair, Frizz Endz™ Tame Shampoo acts within the internal structure of the cortex layer, which is responsible for the hair’s shape and curl or frizz.